I love cupcakes. Evidently so does my dog, Nellie. Since that did not satisfy my craving, my daughter and I found a tasty looking Strawberry Cupcake recipe on a website called “Cooking Classy”. 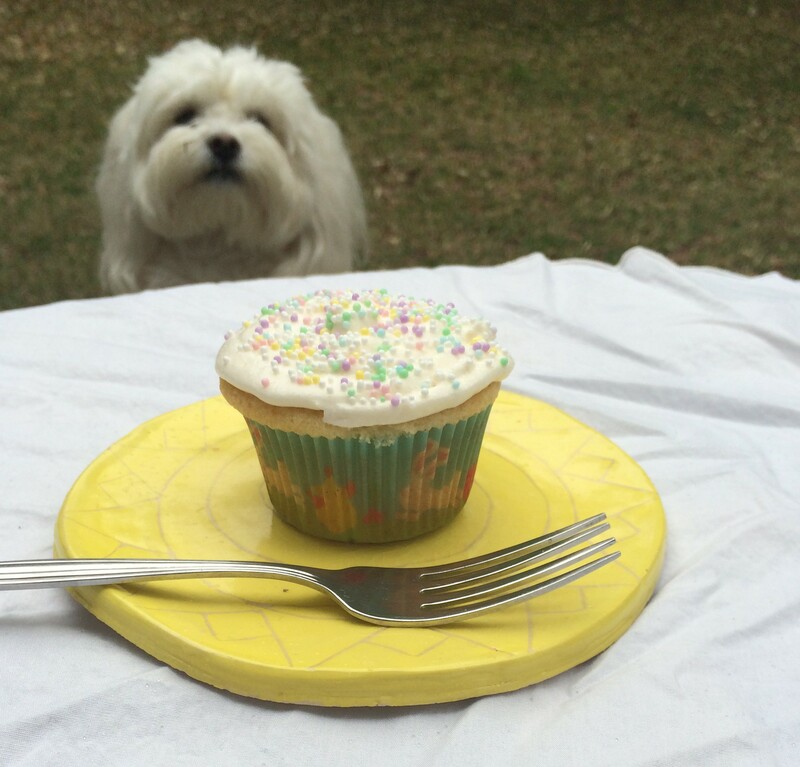 While the process was longer than we anticipated, the cupcake was worth the wait. Claire was diligent in the kitchen cutting and pureeing strawberries, mixing and measuring the other ingredients, only asking once if we were done yet. She found them delicious and I was very pleased in how they turned out. My husband didn’t even ask if I left anything out! He commented, (with a mouth full of cupcake), “now these are really good”! 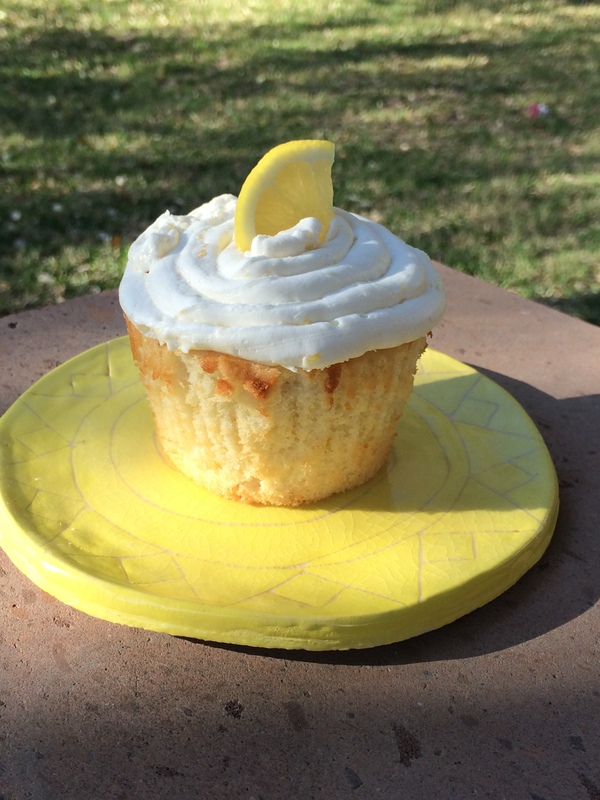 I decided to give the Lemon Cupcake recipe a try as well. I was on a roll! I found it on the same website as above and it looked so good, I couldn’t resist. The cupcake itself turned out a little dry. I have to take credit for that as I mixed the batter a little longer than the recipe called for. What can I say, I was trying to do the laundry as well! But the frosting was full of flavor! Delicious! I will be making this cupcake again. I have added these recipes at the top menu under Something Sweet. Click on it and give the strawberry one a try! All the recipes are worth trying, but the Strawberry Cupcake with Butter Cream Frosting takes the cake! I can’t wait for my birthday!!! I said I want lemon but why stop there..I want lemon and strawberry…and anything else you make before then:) They look fabulous!